Hearing loss affects people on a daily basis, after age 45 there is a 1 in 5 chance you too will have some hearing problems. The most common type of hearing loss is when the tiny hair follicles in your ear that transmit sound to your brain start depleting. The most common damage to these follicles are continuous loud noise and old age. Once these follicles are dead, they are gone for good. Luckily hearing aid devices can dramatically improve your hearing so you can continue living a normal, healthy life. With continuous research and technology advancements in this field hearing aid devices have never looked or worked better. Older hearing aid models would amplify the noise on everything which means they would pick up wind and a lot of background noise, but now most hearing aid devices are digital and have a microphone that sends all the noise through a computer chip which balances the noise to improve your hearing. Some can even be programmed so your television, laptop and phone can process through your hearing aid, letting you lead a normal social life. To truly appreciate how hearing aid devices work we must first understand all the different parts that make them up. The first part of a hearing aid would be the hearing aid microphone. People with hearing loss need something that can process the sounds coming from around them so they can easily understand what’s going on. The purpose of the microphone in a hearing aid is to take the noise and sound we hear and convert them into electricity which then needs to be sent to the hearing aid digital processor or amplifier to be analyzed and digitized. The next step is called analog to digital conversion, it sounds very complex and time-consuming but with this amazing technology this all happens extremely fast. The processor or amplifier takes the electric signals from the microphone and converts them into a digital format, while this conversion is taking place any modifications such as feedback cancellation or noise and wind cancellation take place to enhance the original sound. These modifications have settings that can be changed to suit the hearing aid of patients. Once the digital formatting is done it is then converted back to analog format. Which leads us to the hearing aid receiver. The job of the hearing aid receiver is to take the electric signals from the hearing aids digital processor and convert them into acoustic sound waves so that the brain can properly perceive them and hear them properly. Where the hearing aid receiver sits usually depends on the model, it almost looks like the microphone. Some receivers are placed in the hearing canal inside the ear, some are cased and placed discreetly behind the ear, your prescribed device will have a receiver placed somewhere that will enhance your particular needs. Hearing aid devices, particularly older models had hearing aid volume controls that would adjust the loudness coming into the hearing aid device. Although most updated and modern hearing aid devices will still have volume controls for the wearer who prefers to adjust the volume levels themselves, most modern hearing aid devices are designed to adjust the volume levels automatically as you move around in your day to day life so the volume controls aren’t really necessary as they once were, they are more there for personal preferences. 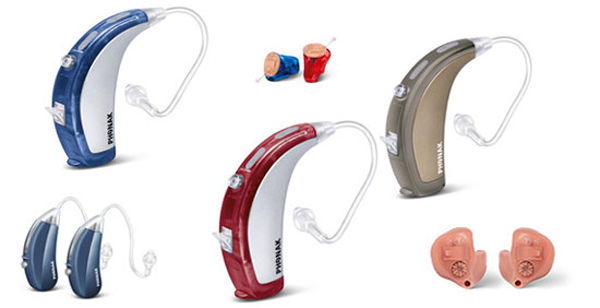 Most hearing aid devices run on specific batteries usually made of zinc and oxygen components. There is usually a sticky tab on the battery which prevents air from coming into contact with the zinc elements of this battery. The battery will not operate until this tab is removed. Depending on how much power a particular hearing aid device requires and the functions it uses, battery life for hearing aid devices varies anywhere from 3 days to 2 weeks. You can buy hearing aid batteries in large quantities at affordable prices so running out or getting stuck without the use of a hearing aid is less likely to happen. Hearing loss can hinder your every day life, it can cause problems and social anxiety when being in a group like going to parties. It can also increase your chances of falling or car accidents as it impairs balance because you are less aware of your surroundings. A recent study has also linked untreated hearing loss to higher risks of developing dementia. A hearing aid is a highly advanced piece of technology, and will be efficient in treating hearing loss and helping you hear the sounds you’re missing out on so you can continue to live a normal, socially active lifestyle. It is always important to go see a specialist who will subscribe a hearing aid device that meets your individual hearing loss needs.